You ever call that ruthless # Codeine? I've called the old Ruthless numbers before. 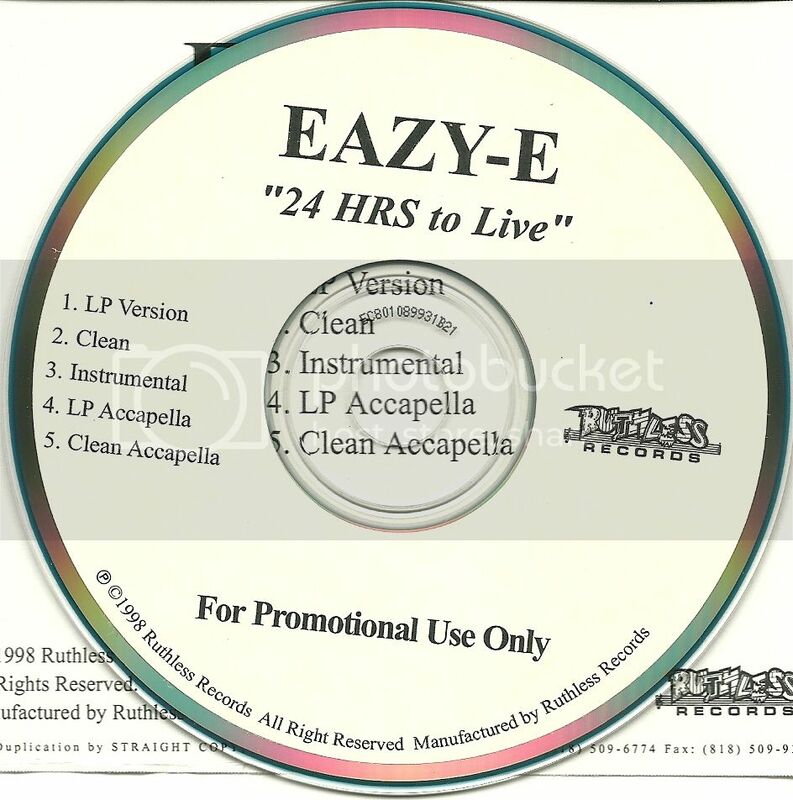 I've called when Eazy-E was alive. I've only got to talk to his recption ladies. My cousin (who is a girl) got through to his voice mail and she left him a message. 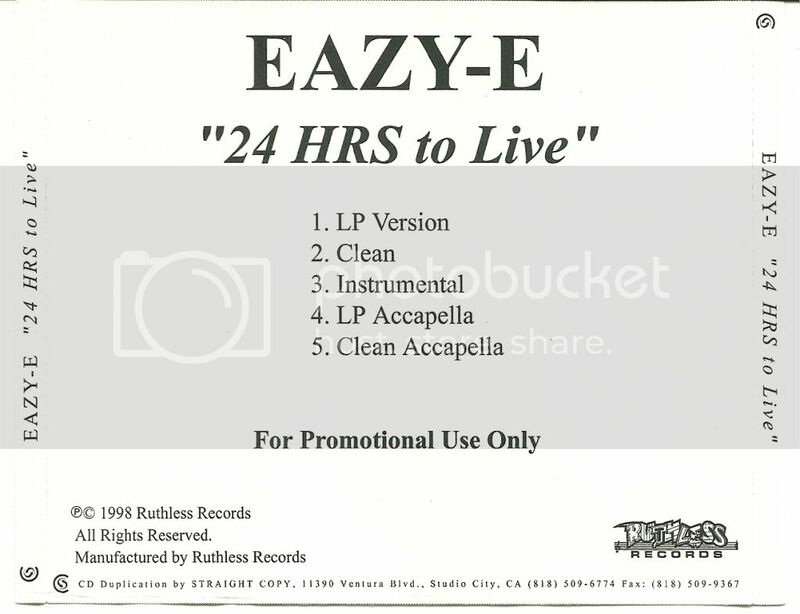 After Eazy died, i've only got through to Tomicas voicemail and i've left messages but never a call back. Was this a cheap purchase Code? ^^^Man, I was praying and having my fingers crossed it (The CD) was the version that HOMICIDE produced before LT Hutton. That's why I was bidding on it. Yeah, I was the only bidder. Got it for $9.99 but I already have the retail Promo CD single too. I just thought that this might be the unreleased version that only a few select people have heard. Homicide produced the OG version? I've hear of the LT Hutton version but never that Homicide version. Where you hear that? I have my connections. I'll have to kill you if I told you. LOL. Just kidding. Ask Sergio.... He knows. I've heard from a few people years back that there is a version that Homicide produced. It exists on a tape somewhere and someone has it. I just hope Tomica releases some material around the NWA movie time.